The Newburgh Free Academy Goldback's took on Warwick during their home season opener on Friday, September 10, 2010 in Newburgh, NY. NFA defeated Warwick 21-0. 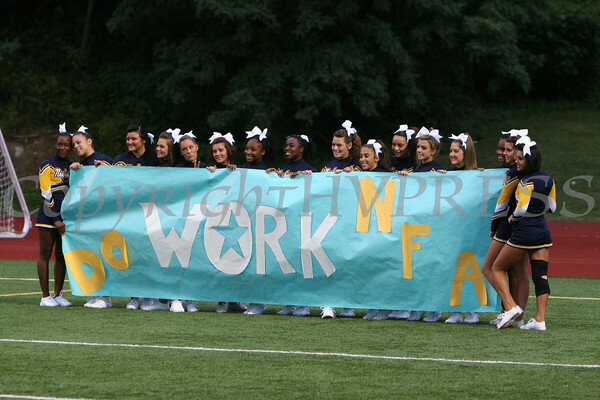 Newburgh Free Academy Goldback Cheerleaders hold the team banner prior to NFA's contest against Warwick on Friday, September 10, 2010 in Newburgh, NY. NFA defeated Warwick 21-0. Hudson Valley Press/CHUCK STEWART, JR.